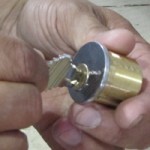 FC Locksmith offers a premium locksmith service to the people of Woodbridge for a price that’s anything but premium. We provide a reliable and trustworthy service to all of Woodbridge’s residents. We’re happy to assist you with small things like cutting keys and choosing the right locks, or bigger tasks like door installation and post-burglary care. We provide lockout assistance throughout the region, as well as scheduled security appraisals to ensure that your home is as safe as it can be. 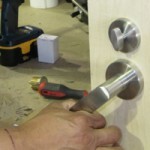 FC Locksmith is happy to support local Woodbridge businesses and offer our services in the process. As well as traditional locksmith services and lockout assistance, we can also aid you in making your commercial premises as safe as your home. We specialize in alarm system installation as well as providing modern designs of locks featuring advanced security technology. If you ever find yourself in a situation where you become locked out of your car or vehicle, or you inadvertently break the key, FC Locksmith can offer assistance. We will travel to any location throughout Woodbridge and Vaughan at large, helping you to get back in and back on the road as a matter of urgency. We all know that a call to a locksmith isn’t always planned. That’s why we provide an emergency locksmith service that is available 24 hours a day. Whatever your requirements, FC Locksmith can have a technician out to you any time of day or night, 365 days a year.